Recipe for making Kerala Brown Rice Appam – Kerala Palappam made with soaked and ground brown rice and coconut. 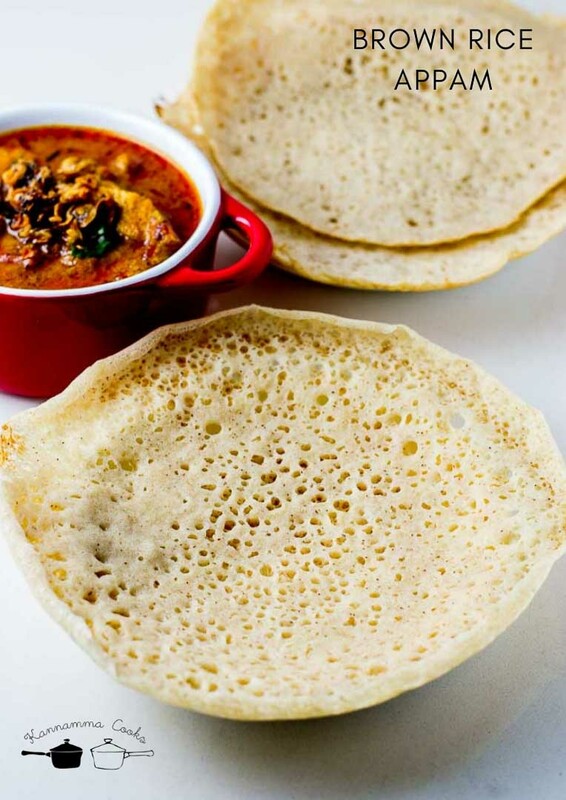 These lacey appams make a delicious breakfast. 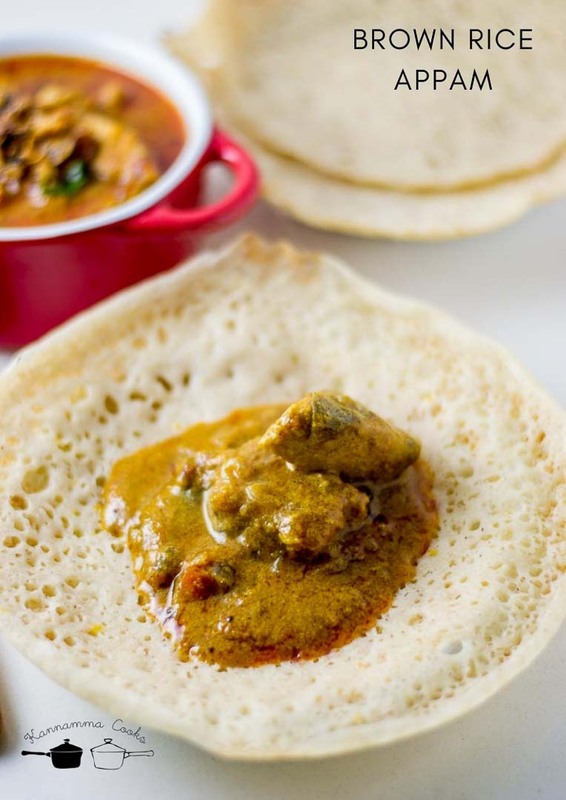 I always do Nivashini’s Kerala Palappam recipe with yeast that is such a hit at my place. I tried tweaking the recipe a bit and made appam with brown rice and I am really glad that I did. 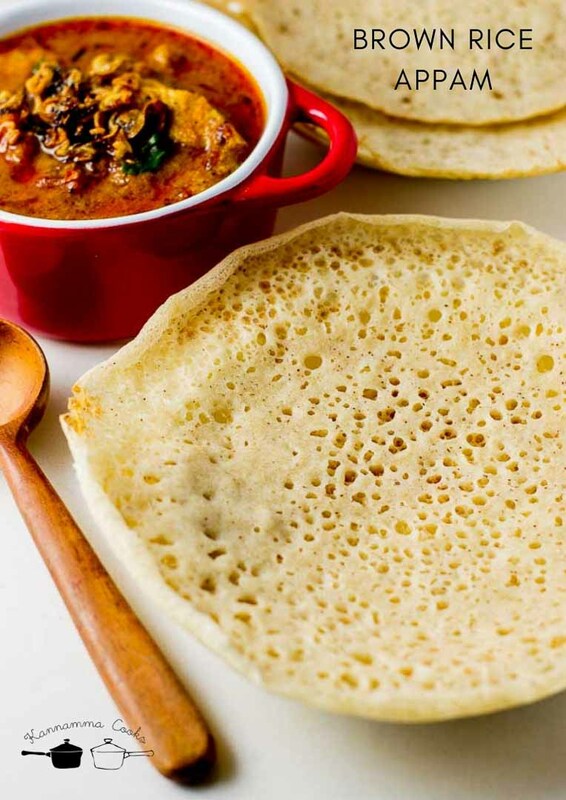 The fluffy, lacey appams with crisp edges are nothing but outstanding. I am sure this recipe will become a regular at your homes. Do give it a try! 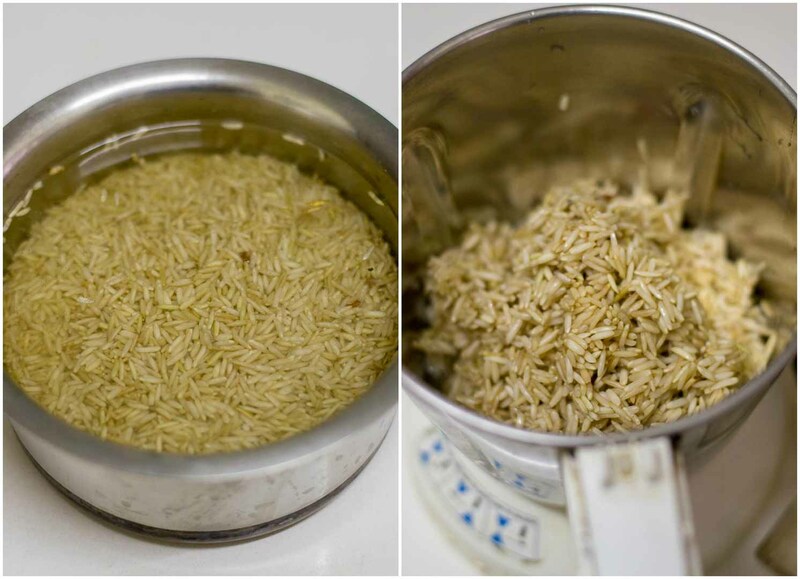 Wash and soak the brown rice for around 3-4 hours or over-nite. Drain the rice and set aside. I have used my mixie to make the batter today. You can use a wet grinder too if grinding in large quantities. 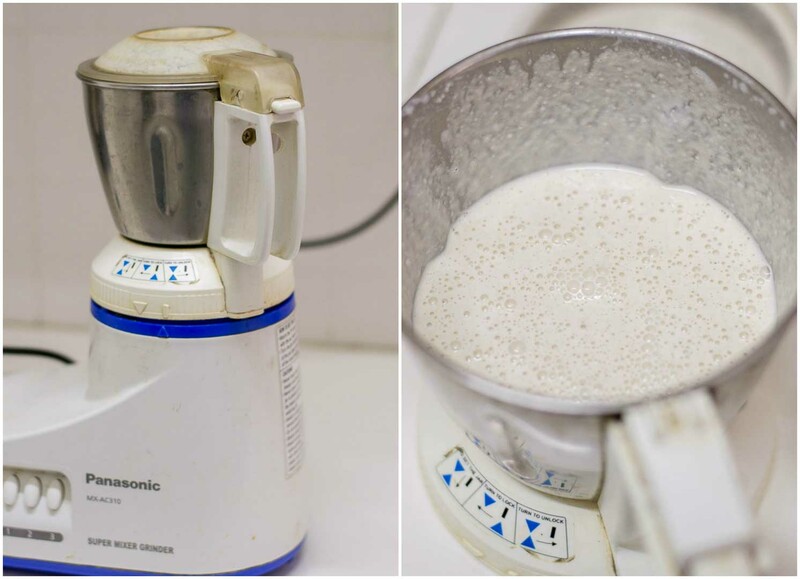 If using a mixie, you will need a heavy duty Indian mixie that is a work horse in the kitchen. I have a panasonic mixie and here is where you can buy it online. Grind the soaked and drained rice in a mixie in batches. I have used around 1.5 cups of water to grind 1.5 cups of rice today. Grind to a very fine paste. 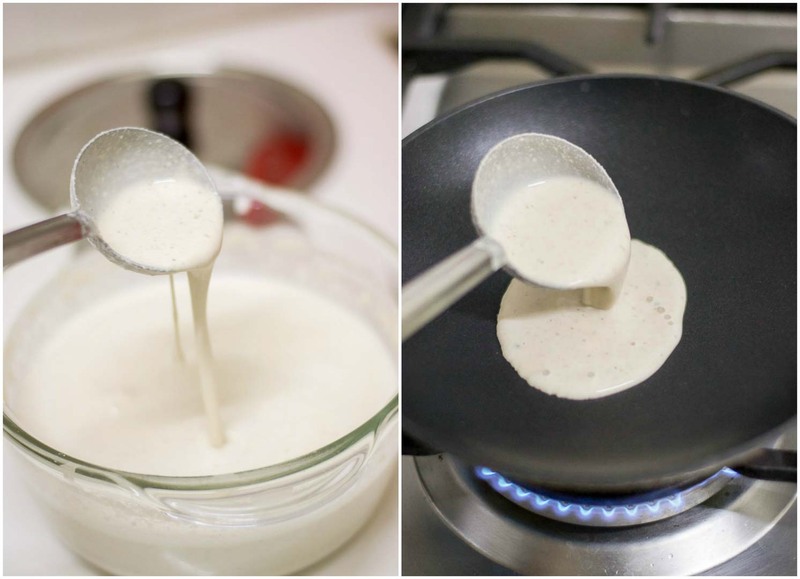 Remove couple of ladles of batter (quarter cup) to a bowl. Add half cup of water to it. We will be doing a porridge with it and add it back to the batter. (we will be making a kanji). Heat the mixture on a stove. Heat on a medium flame until it slightly thickens to a porridge (kanji). Add the kanji to the already ground batter. 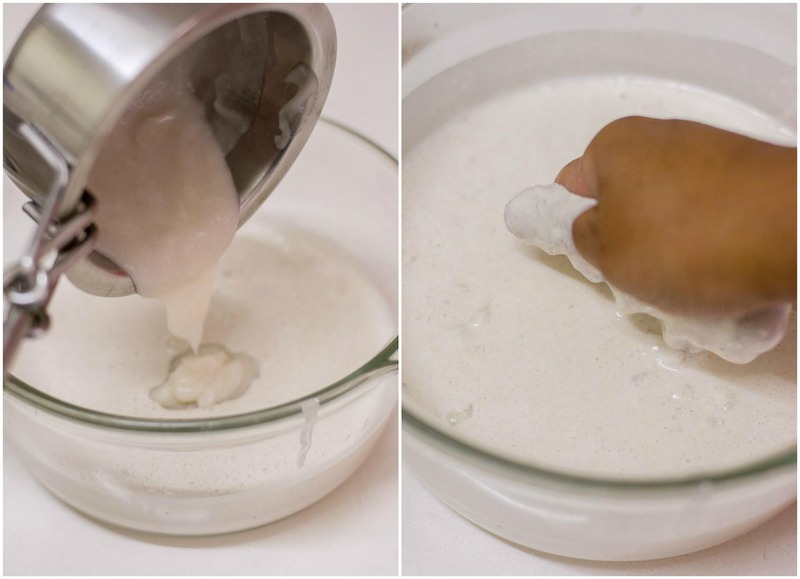 Use your hands to mix the batter once, so the batter is lumpfree. Grind the coconut with half a cup of water to a smooth paste. Add it to the batter. Add in the salt. Add in the yeast to the batter. You can buy active dry yeast in amazon. 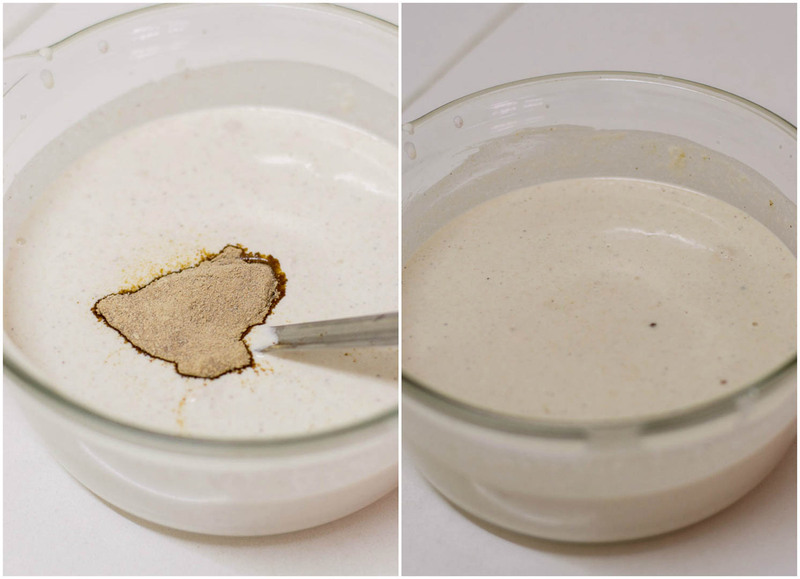 Store the yeast in the freezer and it lasts for a long time up-to an year fresh in the freezer. Buy Yeast online. This is the brand I recommend. Add in the palm sugar. If you dont have palm sugar, powdered jaggery or even normal sugar will work. Cover the batter and let it ferment for 6-8 hours. The batter would have foamed up and smell very yeasty. Now comes the fun time. Lets make appam. The appam batter consistency should be thin. Little thinner than the dosa batter consistency. 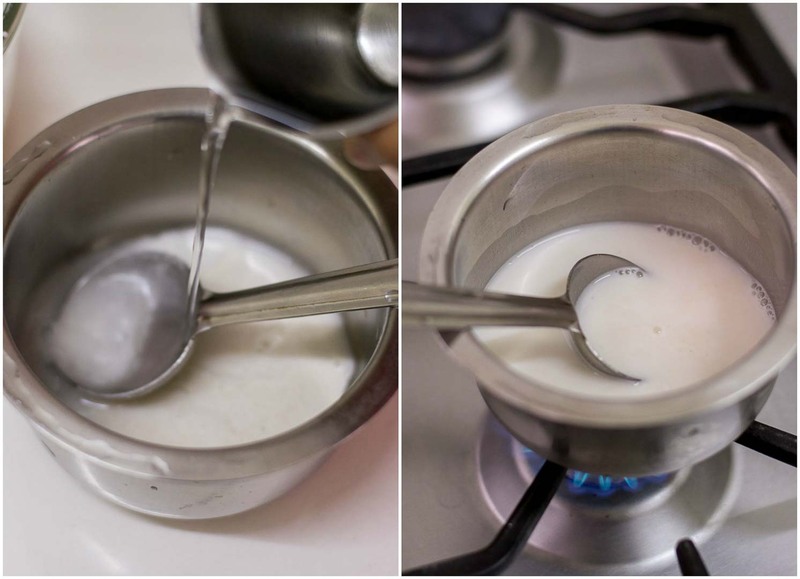 Add water if necessary to adjust the consistency of appam batter. The consistency should be like a thick paint. Heat appam kadai or appa chatti until hot. Ladle some batter into the kadai in the middle. 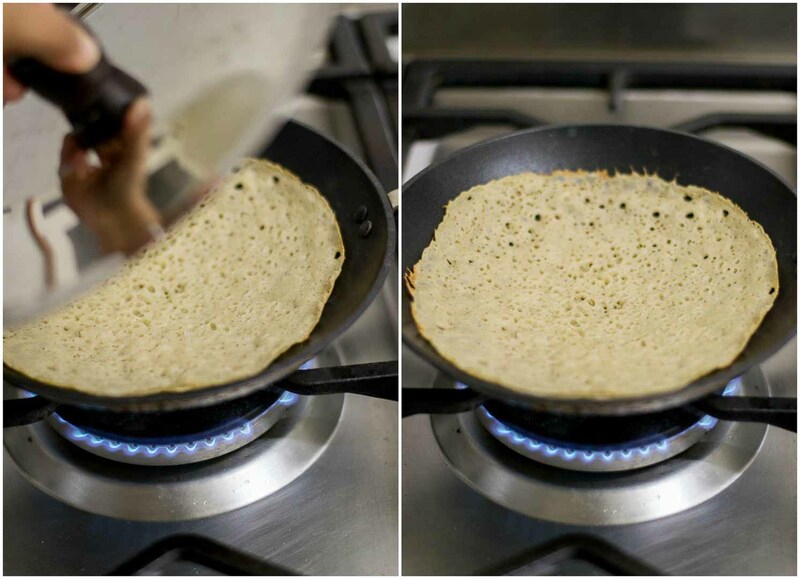 Slowly rotate the pan to make the appam batter adhere to all over the sides of the pan. Use your hands to rotate the pan in a circular motion and guide the batter to stick to all over the sides. Keep rotating till the batter is evenly coated on the sides. Cover with a lid and let it cook for a minute on medium flame. 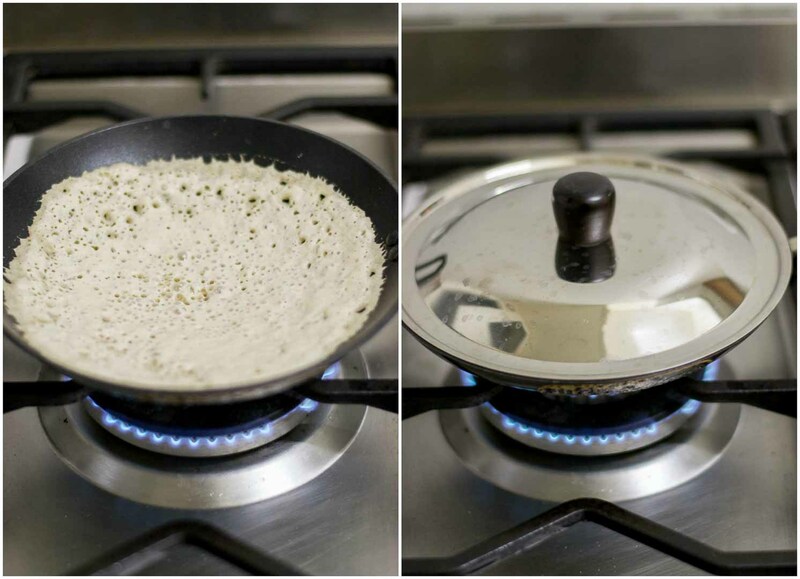 I have used a Hawkins Futura Non-Stick Appachatty for making the appams today. Wash and soak the brown rice for around 3-4 hours or over-nite. Drain the rice and set aside. 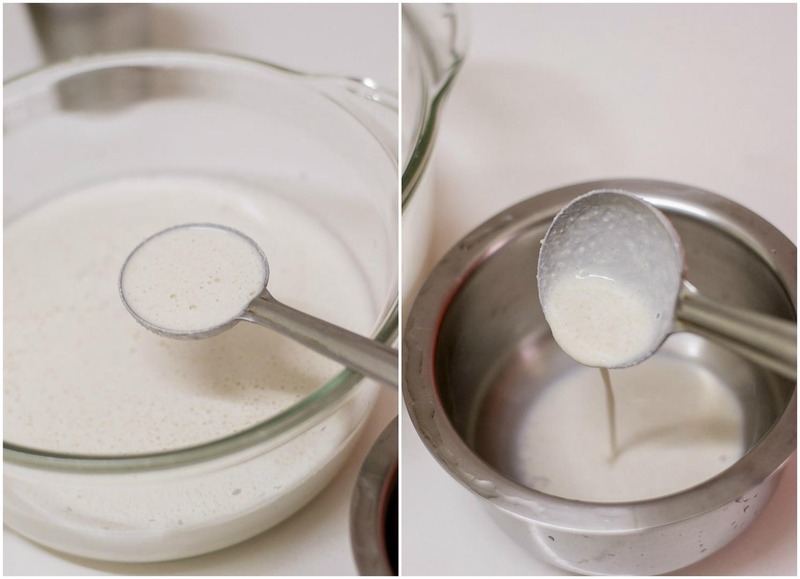 Remove couple of ladles of batter (quarter cup) to a bowl. Add half cup of water to it. We will be doing a porridge with it and add it back to the batter. (we will be making a kanji). Heat the removed batter on a medium flame until it slightly thickens to a porridge (kanji). Add the kanji to the already ground batter. 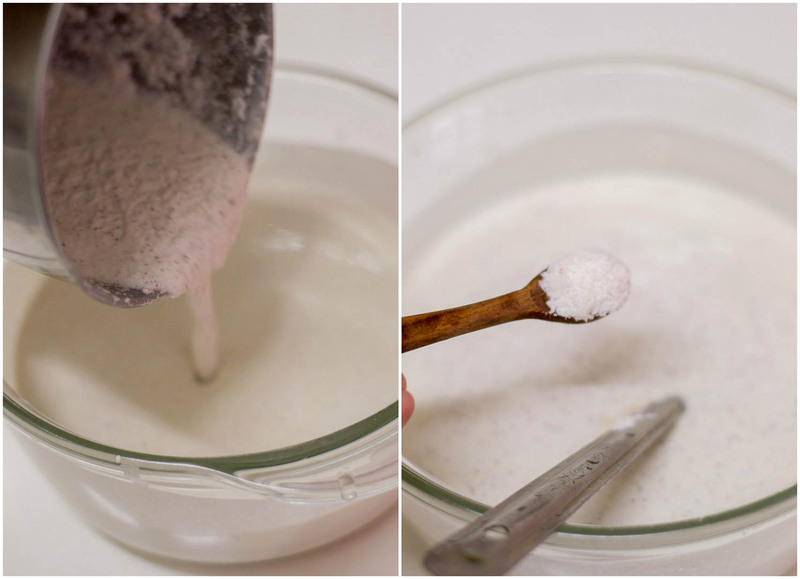 Use your hands to mix the batter once, so the batter is lumpfree. 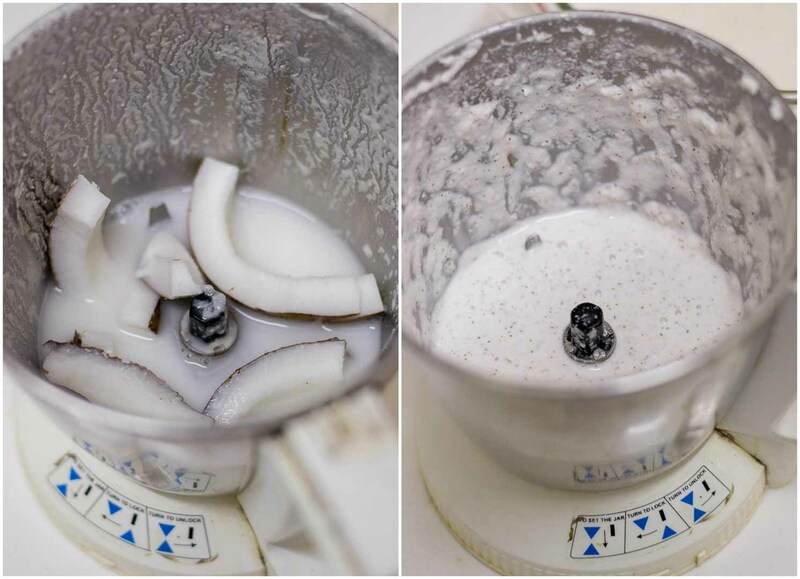 Grind the coconut with half a cup of water to a smooth paste. Add it to the batter. Add in the salt. Add in the yeast to the batter. Add in the palm sugar. Mix well. The appam batter consistency should be thin. Little thinner than the dosa batter consistency. 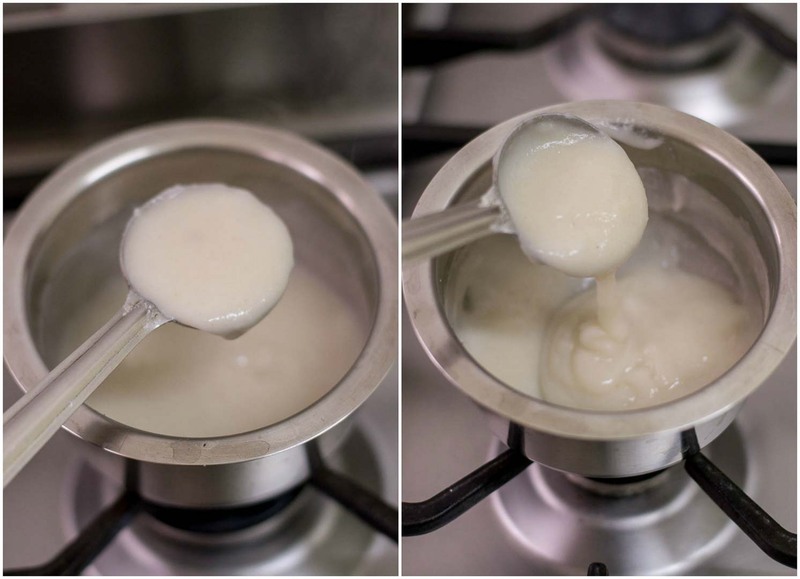 Add water if necessary to adjust the consistency of appam batter. Heat appam kadai or appa chatti until hot. Ladle some batter into the kadai in the middle. 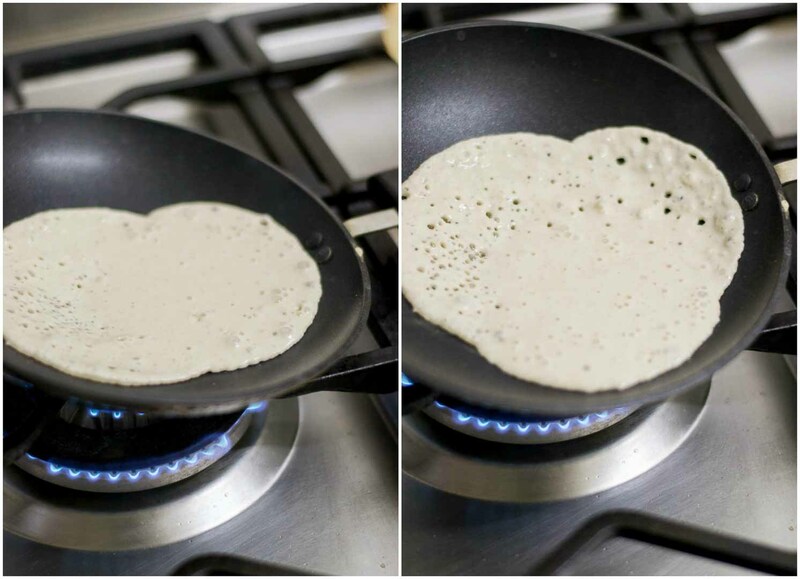 Slowly rotate the pan to make the appam batter adhere to all over the sides of the pan. 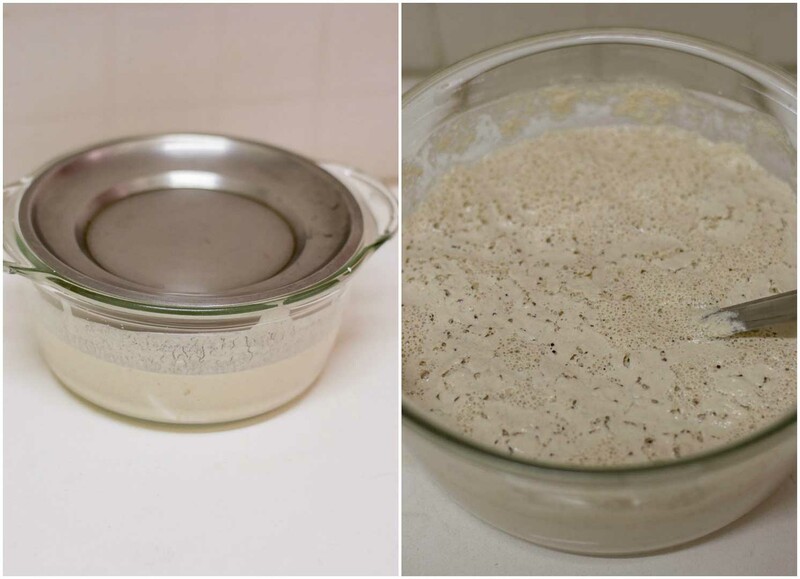 Use your hands to rotate the pan in a circular motion and guide the batter to stick to all over the sides. 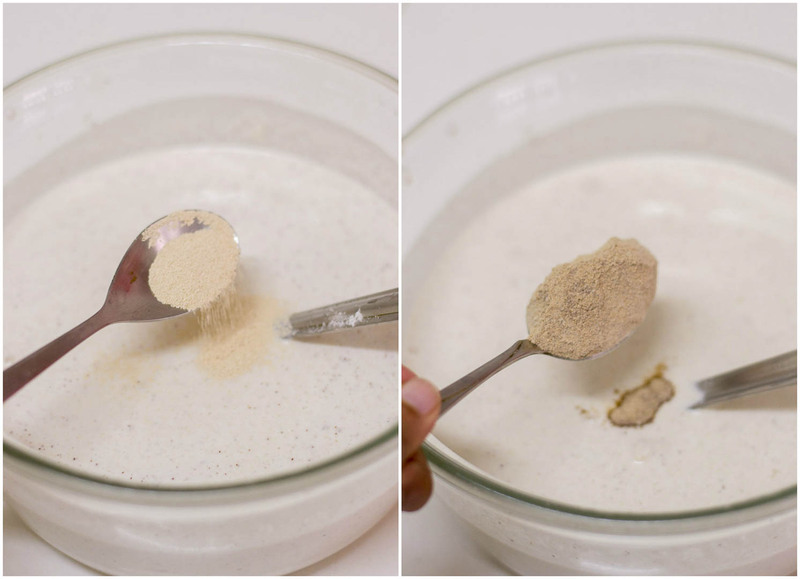 Can I skip adding active dry yeast? You can add it when hot. No problem.